Home Security is literally getting smarter! As technology has advanced increasingly over the last few years we are seeing more and more advances in the way we can secure our homes from an intruder. 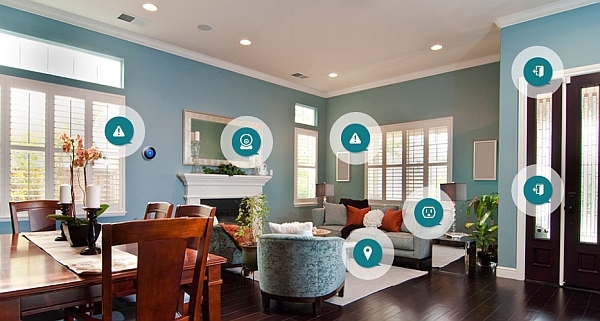 For years we have dreamed of the idea of a fully functional smart home, the idea has even been depicted in movies i.e. the technology depicted in Back to the Future II such as keyless entry. Although the movie may not have exactly predicted the future for us i.e. hover boards, you may be surprised by the kinds of technology that are available to homeowners in 2015, right now you can control your heating and lighting from your smart phone or even text your fridge. Already we are seeing ‘smart locks’ that allow a homeowner to open their front door using just their smart phone. Some of which even allow the user to let in guests when they are not at home. 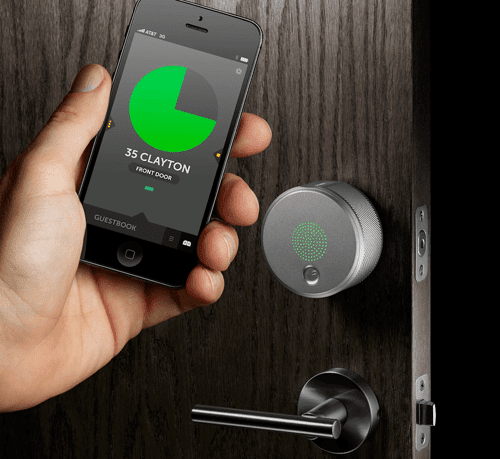 The ‘August lock’ was launched by an American Company in 2014 and is a keyless entry system which uses Bluetooth. As well as different types of keyless entry we are also seeing numerous home security apps being introduced to the market which allow you to control different parts of your home from either your phone or tablet. Although these sound great there are some reservations that have been raised by technology experts, in 2014 a study was carried out by HP to see whether these apps could be vulnerable to hackers. The security Company found that the biggest concern with these types of apps is the fact that the majority (8 out of 10) didn’t require consumers to use hard-to-hack log-ins which could leave their home vulnerable to being hacked. In 2014 Apple announced that they are working to develop a product called ‘Homekit’ which will allow homeowners to control lights, locks, cameras, doors, thermostats, plugs and switches. Although this is still very much in development other manufacturers are already building products to encompass Apple’s ‘Homekit ‘. Who knows what the future holds for our home security but we are sure it’s only going to get smarter! Did you change the locks after you moved home?